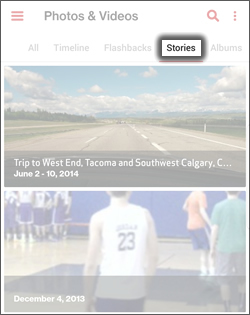 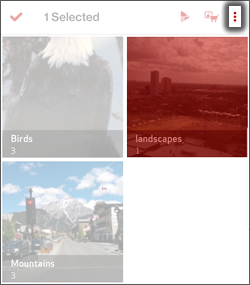 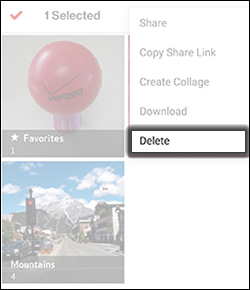 Tap an option the tap OK.
Navigate to a picture then tap the Contextual Menu icon (located upper-right). 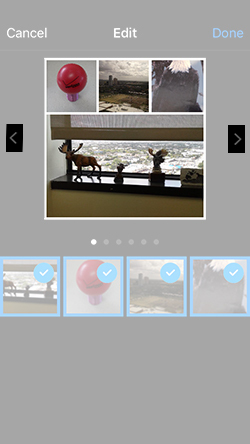 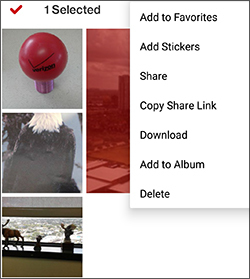 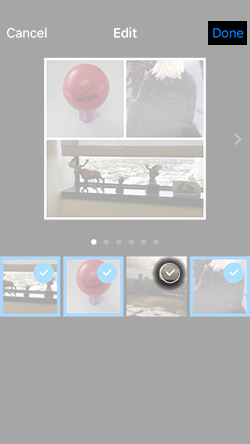 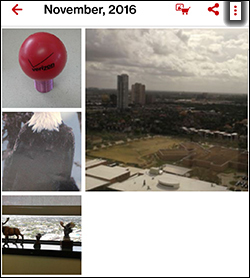 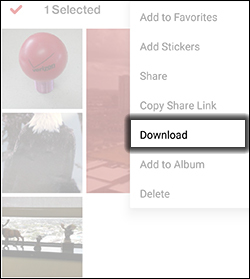 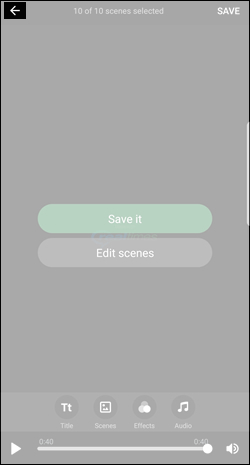 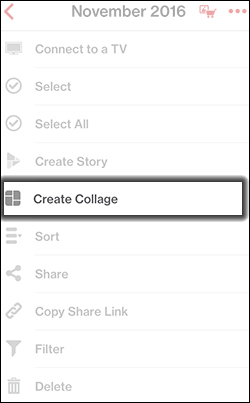 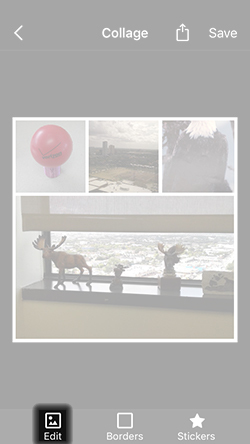 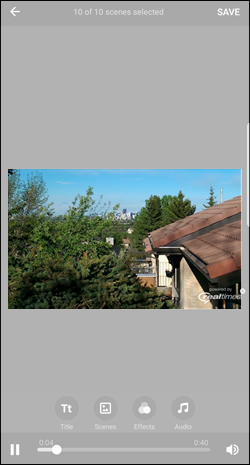 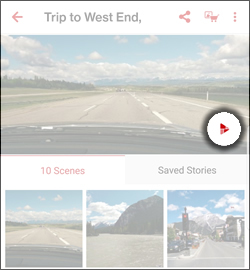 Tap the photo(s) or video(s) then tap the Contextual Menu icon. 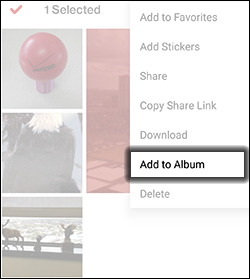 Tap the Add icon + (located in upper-right) to add a new album. 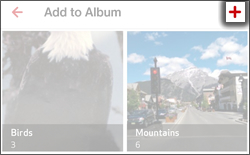 To add to an existing album, tap an album. 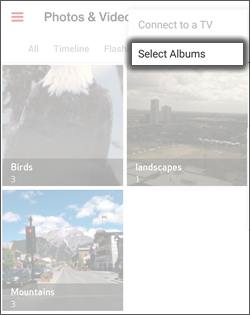 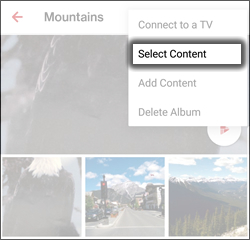 Scroll right then select Albums. 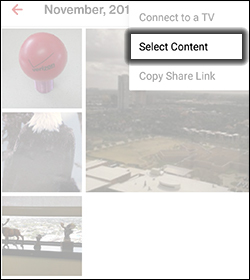 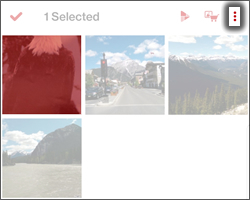 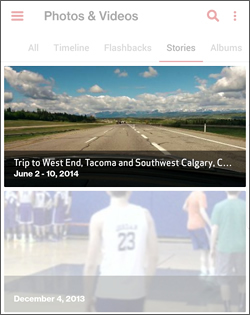 Tap a picture or video then tap the Contextual Menu icon. 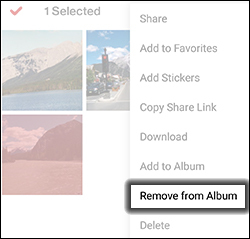 When prompted with "Remove from Album", tap Yes. 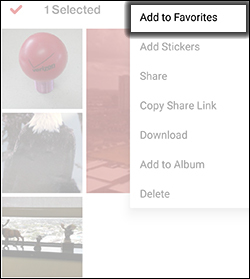 Tap an album then tap the Contextual Menu icon. 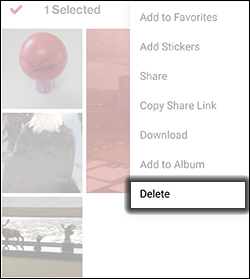 When prompted with "Delete Files", tap Yes. 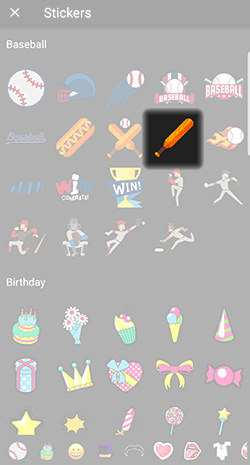 If prompted, tap Got It (located in the lower-right). 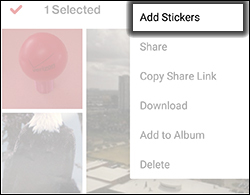 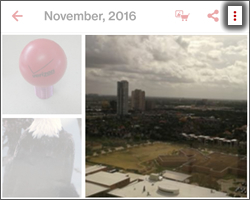 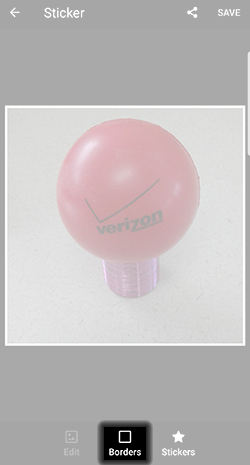 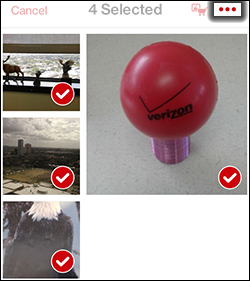 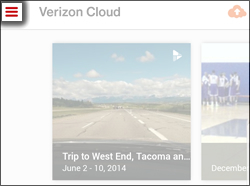 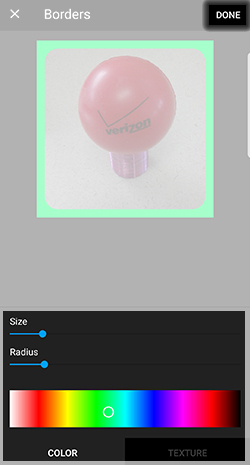 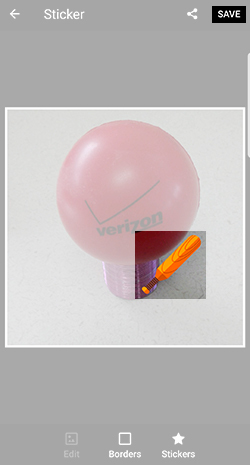 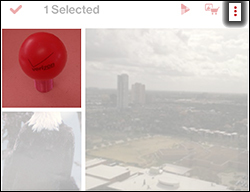 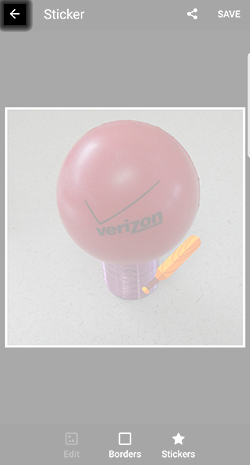 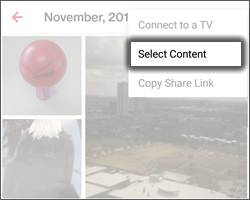 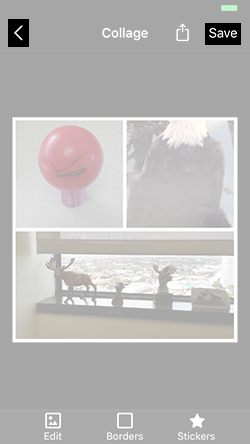 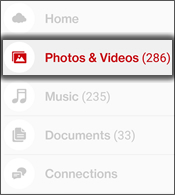 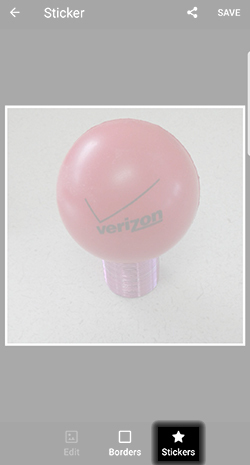 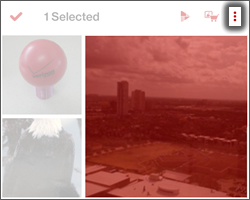 Tap the Back arrow (located in the upper-left) to return to Verizon Cloud. 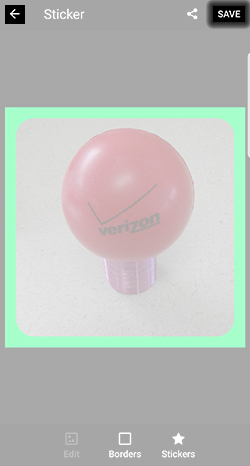 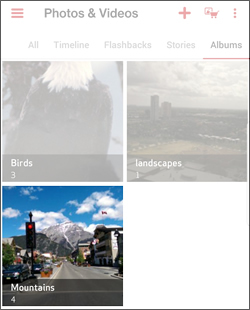 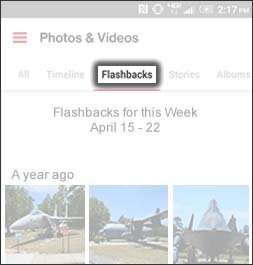 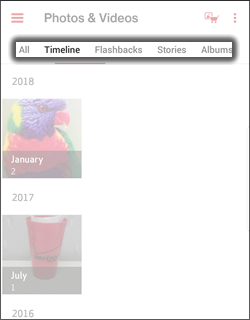 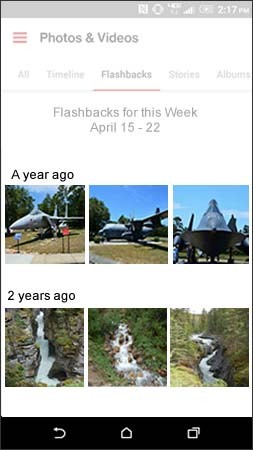 Flashsbacks are pictures that are stored in your Verizon Cloud that are at least a year old. 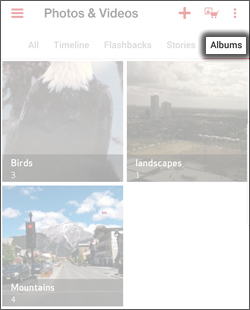 Adjust the border as desired then tap Done.